Living with mice is problematic for two major reasons: they will gradually wreak havoc on your property, and their little bodies may be infested with over 35 diseases. And the diseases mice carry can be deadly for humans. It’s incredibly difficult to get rid of mice and an infestation can bring long-lasting problems. However, if you use a combination of the following mice control methods, you’ll do more than just eliminate your infestation. You’ll also give your home a reliable layer of protection against future infestations. 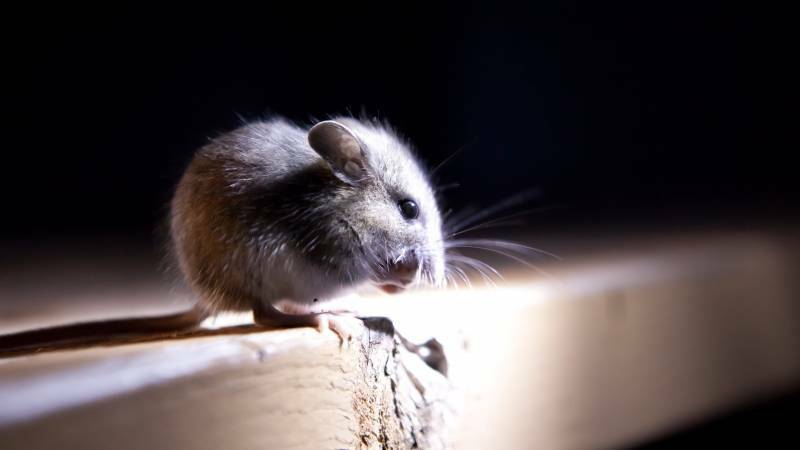 Immobilizing or eliminating mice so you can get them out of your home isn’t an easy task. Sometimes, getting rid of these filthy rodents is a dirty job. Pick the wrong approach, and your infestation could become an even bigger problem. However, there are a few ways to get rid of mice without calling an exterminator. The following mouse control methods are great and effective DIY options anyone can try. Mousetraps come in many forms, and they’re effective to an extent. All mouse traps, from spring-loaded traps to live traps to electronic traps, are powerful enough to capture or kill mice. Furthermore, they aren’t expensive. Using mousetraps is fairly simple: set them up in the areas where you’ve spotted mice. You can use any food as bait, including cheese, oatmeal, chocolate, and peanut butter. Alternatively, you can lay down glue boards. Since the adhesive has a special attractant, there’s no need to add bait to glue boards. Once a mouse is caught, simply dispose of the trap. Bait stations belong in every home facing a mice infestation. Even if you have children or pets, you can feel good about placing bait stations around the house – they’re perfectly safe. Once the bait station is set up, carry on with your normal routine. Mice will freely roam into the box to eat the bait, which is nothing but a block of poison. Depending on which product brand you use, the mouse may die within hours or two days. Entry points don’t have to be as big; mice can squeeze their bodies through any hole the size of a nickel. With that said, plugging up noticeable entry points is a good do-it-yourself control method. Just be sure to use steel wool instead of wood, plastic, or rubber. Secure the steel wool by applying a thick layer of caulk around the edges of the holes. While it’s possible for you to create your own mice control program at home, chances are your efforts will be futile. DIY mouse control solutions often can’t eliminate the entire infestation, as you’re attempting to trap or kill mice one at a time. If you’re dealing with a big infestation, you have a problem that you can’t effectively eliminate on your own. What you need is a personalized solution. That’s why it’s in your best interest to hire a pest control company. Professional pest exterminators are equipped with not only years of training and expertise, but also the most effective tools and technology to eliminate rodents and pests. A professional exterminator will use integrated pest management tactics to eliminate mice once and for all. Exterminators can combat a mouse problem with stronger tools and get to the root of the problem. They can also offer suggestions to help you prevent infestations again in the future, keeping your home mouse-free for years to come. Their services are also excellent options for property owners who are too busy or too afraid to keep pests at bay. Whether your budget is large or small, you’ll have no trouble getting assistance from a professional exterminator. Many exterminators offer free consultations and free estimates, letting you pick a professional who’s within your budget and also skilled in dealing with your particular type of pest. Consider using a local exterminator and you won’t have to do the dirty work of dealing with mice. Are you aware that mice aren’t the only threat that you’ll have to deal with? When pests invade a property, they clear the way for other rodents to move in behind them. Therefore, you need to take action – you need to eliminate your mice infestation and work on preventing even worse pests from invading your home. You can prevent such an outcome by simply going on the offensive. Confront the intruders head on, and you’ll stop them in their tracks. Whether you choose DIY methods or enlist the help of a professional mice exterminator, you need to combat the mice hiding in your home before they become a bigger, more dangerous problem. If you’re interested in mice control, start a search today.